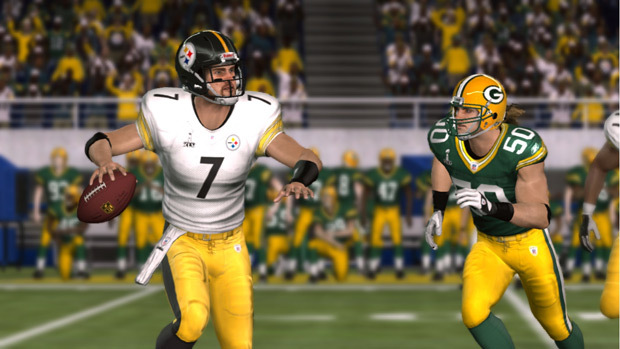 Good news for Pittsburgh Steelers fans: Madden NFL 11 has predicted that the black-and-gold will win the Super Bowl, 24-20. Hit the music! The press release mentions names I’ve never even seen before, including Aaron Rodgers, James Jones, and Mike Wallace, and describes their awesome exploits. In a last second desperation attempt, Rodgers targeted receiver Jordy Nelson, but Steelers safety, Ryan Clark, picked off the pass, clinching Pittsburgh’s Super Bowl XLV victory. It should be noted that Madden has correctly predicted six of the last seven Super Bowls, so there may be some truth to the 24-20 score.